A groundbreaking is set to take place Monday for the River North Park located on the South Platte River Greenway. DENVER — There's a new park coming to the city of Denver. 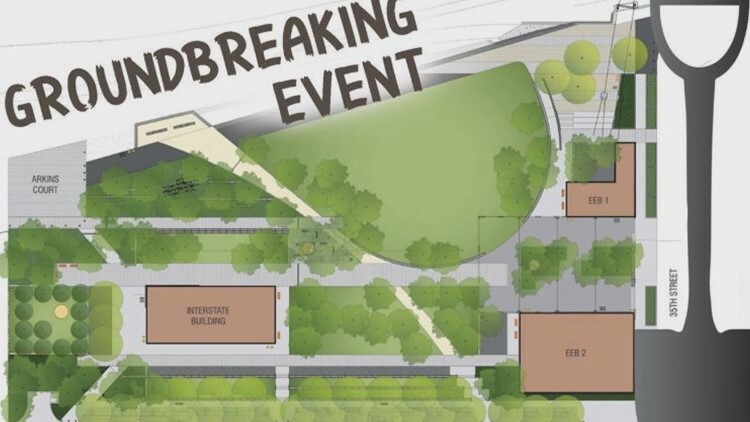 An official groundbreaking for River North (RiNo) Park is scheduled to take place at 11:30 a.m. Monday. It will be located near Arkins Court and 35th Street directly on the South Platte River Greenway. Once complete, it will include a small event center, play area for kids, river access and a festival plaza. Plans for the park in RiNo were created in 2003 as part of the River North Plan as well as the 2009 River North Gateway Master Plan, according to the RiNo Art District.